Valley's exclusive petal festooning looks just like a fluffy rope of flower petals. 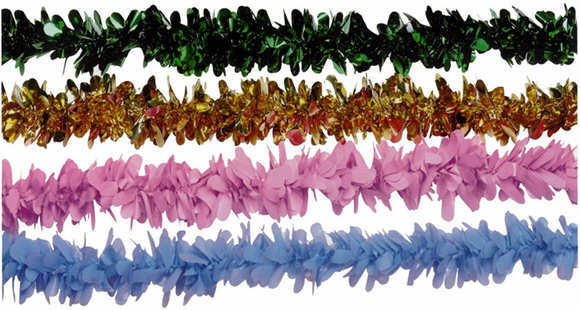 Floral sheeting petals are formed into garlands that frame parade floats and doorways.You can use it to drape, accent, wrap poles, create canopies or form letters in any script. Simply braid it to create a decorative display. Available in all vinyl and metallic colors in 48 inch lengths. Buy this product now!